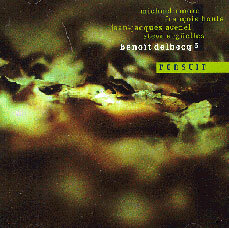 Benoit Delbecq / piano, Francois Houle / clarinet, Michael Moore / reeds, Jean-Jacques Avenel / bass, Steve Arguelles / drums, electronics, Marc Ducret / guitar, one track only. People will, it seems, continue to insist that jazz isn’t dead for some time to come, and as long as they make music as good as this, who can complain? These three records are all firmly within the jazz tradition; rather than fusing it with something else, they all, in different ways, aim to develop interesting little ideas buried deep within it. 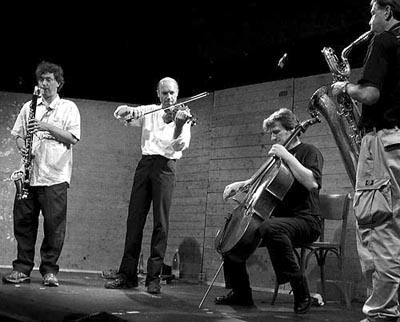 Take Kaufmann’s quartet, part of what appears to be a recent rediscovery of cool jazz, with its pools of languid sound and its clever, by no means atonal but often rather weird-sounding harmonies. There’s much here that jazz fans will have heard before, but much to enjoy, too. 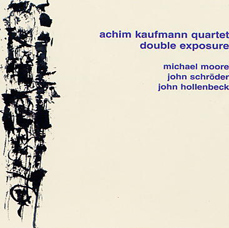 The compositions are a bit of a weak link — they’re plagued by bebop cliches and rather clunky avantgardisms — but the quartet are a strong improvising unit and the solo sections are easy to like. Kaufmann’s piano is a surprisingly forceful presence on these tracks, picking out notes with a strength which belies the relative repose of much of the music. His solos seem to abandon any chord structures pretty quickly, discovering his own little harmonic niches and keeping bassist Schroder on his toes in the process. Moore has a preference for meditative playing, as on the final “Sphericals”, where he leads the clarinet into an almost whimsical pastorale. He can do up-beat, but when he does it’s a more bluesy, boppish figure he cuts; his solo on “Double Exposure” could almost have come from Charlie Mariano or any other of a legion of top-drawer Blakey or Mingus sidemen. In other words, it’s good stuff, but it’s a little surprising to hear someone playing that way in this day and age. And that’s a question-mark which hangs over this whole session, and many others like it. If it had been recorded in 1960, it would be considered prescient, daring and terribly exciting. In 2000, it sounds just a little retro. 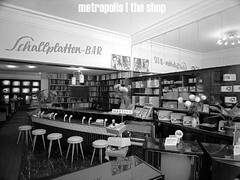 There are good things here — Kaufmann’s playing is most of them, actually, but Moore has a lovely take on that sweet-sour Giuffre sound which is also worth catching — but it’s the ballads which really work and the up-tempo numbers like “Pea Head” and the title track are, really, just bland modal jazz-funk which Schroder livens up somewhat but which are otherwise entirely forgettable. A shame, because there’s much to be impressed by here when the tempo cools down. Moore also appears as a member of Delbecq’s quintet, and the music here, although in some ways coming from similar roots, is altogether different. Delbecq is a pianist who will already be known to many readers, as will clarinettist Houle (with whom Moore shares a lot fo common ground); this group has the muscular sophistication which Kaufmann’s quartet sometimes lacks. One thing which is immediately striking is that, while this is free jazz with the see-saw rhythm most often associated with Cecil Taylor’s small-group work, there’s a very up-front contemporary angle supplied by Steve Arguelles’s electronics. No shy background noises or occasional percussive samples here — the swoop of them fills some of the best moments here, transforming a fairly old-fashioned kind of playing into something quite original. The compositions here fall prey to standard jazz patterns at times, just as Kaufmann’s do. One wonders whether this is deliberate — a way to make the music more accessible by framing it with something familiar — or whether composing well these days is just so hard that most people tend to turn in indifferent efforts. As with the Kaufmann disk, then, this is one where the solo or ensemble improvisations tend to be more impressive than the heads. Indeed, and in common with many projects like this, its often the comping which is most impressive, with Avenal, Arguelles and Delbecq often more interesting than what Houle (a player of real daring and imagination) or Moore play on top of them. 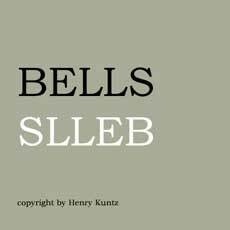 Delbecq is not a pianist to dismiss, whatever you make of his rather watery compositions here: his is a genuinely elegant reappraisal of the last forty years of free jazz piano. It would be good to hear him in more challenging settings than this one, where he is, after all, playing his own compositions, mostly in the company of familiar friends. The first track of “Pursuit” makes a tantalising promise which the rest of the record doesn’t really fulfil; it’s complicated, flowing, uneasy. There isn’t enough of this sort of thing here, but what there is is excellent stuff. 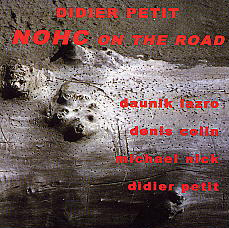 Didier Petit offers a taste of it in the outstanding NOHC on the Road. The least jazzy of the three disks considered here, it still has close connections to the tradition, but it also takes account of European-style free improv. 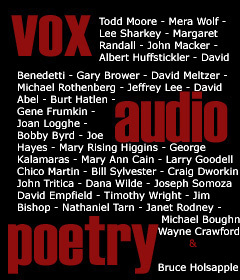 The line-up is unconventional, too — two reeds, two strings — and it’s to their credit that such logical, intelligent music comes out of what could have been a very ordinary impro-jam. While this, perhaps inevitably, has connections with Eastern European music (Nick’s ecstatic violin) and the Classical avant garde, the real progenitor here is Ayler, and it’s always nice to see Ayler’s legacy re-emerging in peculiar ways. Here it’s the soaring folk music he played to incomprehending audiences of beatniks to which NOHC pays tribute, particularly in the opening track, “The Progressive Slide into Pleasure”, a track which makes you slowly stand up as you listen to it, like an auditory Alexander technique.